Best Samsung fitness trackers - what are your options? While fitness trackers have existed for decades now, modern technology has significantly improved them. As a direct result, we’ve seen a major rise in popularity with leading brands including Garmin, Fitbit, and even Samsung. A good fitness tracker can not only track your activity throughout the day, but it lets you know how many calories you’ve burned, and can even show notifications from your smartphone, among other things. If you’re in the market for a new fitness tracker, getting one from Samsung is a great option. The tech giant has a number of different models on offer ranging from $120 all the way up to $300. 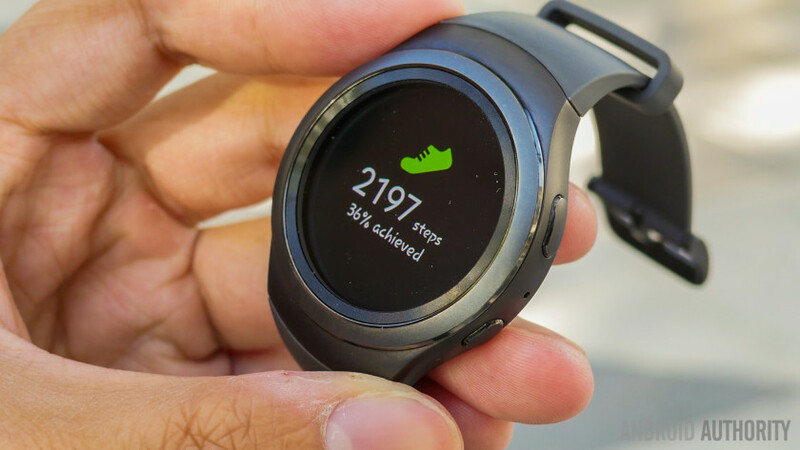 Join us as we take a look at the best Samsung fitness trackers in terms of specs, price and more to give you a better idea of which might be best suited to your needs. Let’s dive in. This is the latest and greatest Samsung fitness tracker. It sports a 1.5-inch curved Super AMOLED display, has 512 MB of RAM, and packs a 200 mAh battery. There’s also 4 GB of storage available that can be used to store your favorite songs or Spotify playlists. The device has an auto-activity tracking feature and will show you how many steps you’ve taken throughout the day, along with a bunch of other standard fitness data. Samsung’s Gear Fit 2 Pro has a built-in GPS as well as a heart rate monitor. It’s also resistant to water — 5 ATM — and sports a swim tracking feature via Speedo On, making it a great option for those who love spending time in the water. This Samsung fitness tracker runs Samsung’s Tizen OS, is compatible with Android as well as iOS devices, and comes in two sizes: large or small. It connects to your smartphone via Bluetooth and will show you various notifications, including missed calls, received messages, and so forth. You can get it in black or red for $170. The Gear Fit 2 is very similar to the Pro model described above. It has a 1.5-inch curved Super AMOLED display, a 200 mAh battery, and 512 MB of RAM. The device also features GPS as well as a heart rate monitor, and it offers 4 GB of storage, allowing you to store and listen to music during workouts. However, it does come with a different water resistance rating — IP68 — which means it can be submerged in up to 1.5 meters (five feet) of water for 30 minutes. It’s also a little smaller and lighter, although the difference isn’t really that big. Like most Samsung Fitness trackers, the Gear Fit 2 runs Tizen OS, tracks your activities as well as your sleep, and can display the latest notifications from your phone. It’s a great device for runners, while those who enjoy swimming will have to opt for the more expensive Pro model due to its better water protection. You can get the Gear Fit 2 in a small or large sizes for $120 on Amazon. Gear Fit 2 review – can Samsung get fitness tracking right? The Gear S3 Frontier isn’t just a Samsung fitness tracker, it’s also a smartwatch with a number of fitness features on board. It can count the number of steps you’ve taken, show you how many calories you’ve burned, and so forth. It’s a great option for runners due to its built-in GPS and also features a heart rate sensor. The device is resistant to dust and water thanks to its IP68 rating but is not suitable for swimming. Samsung’s smartwatch has a rugged and sporty design and comes with a 1.5-inch circular display. One of its best features is the rotating bezel, which allows you to scroll through apps and even turn the volume up or down, among other things. It has LTE connectivity and a built-in microphone and speaker that allow you to take calls. The device also supports Samsung Pay, letting you pay for goods and services with your wrist. The Gear S3 Frontier runs Tizen, is compatible with Android and iOS devices, and has 4 GB of storage. It can hold local music files, so you can play your favorite tunes from the speaker or through Bluetooth headphones. The device will show you various notifications from your smartphone, comes in black, and is the most expensive product on this list at $300. The Gear S2 is very similar to the Gear S3 in terms of fitness features. It can connect to a smartphone and show you the steps you’ve taken throughout the day as well as the calories you’ve burned. It can even track your sleep and show you your latest notifications, among other things. However, this model of the smartwatch doesn’t have GPS, which might be a deal breaker for some — there’s a more expensive 3G variant with GPS available. The Gear S2 also features a rotating bezel and is IP68 rated. This means it can be submerged in up to 1.5 meters (five feet) of water for 30 minutes but isn’t suitable for swimming. Compared to its predecessor, it sports a smaller 1.2-inch display, a smaller 250 mAh battery, and less RAM — 512 MB. It’s also lighter, more compact, and has a different design. The smartwatch runs Samsung’s Tizen OS, has 4 GB of storage for apps and music, and sports a heart rate sensor. It’s cheaper than the Gear S3 with its price tag of $180 but still more expensive than the Gear Fit 2 and 2 Pro, both of which have GPS on board. Which Samsung fitness tracker is right for me? So which Samsung fitness tracker is right for you? Good question. If you love swimming, the best Samsung fitness tracker is obvious: Gear Fit 2 Pro. It’s 5 ATM rated and is the only device on this list that will survive in a pool for a longer period of time. It comes with the Speedo On app on board, which records your stroke type, lap count, lap time, distance, and pace. If swimming isn’t your thing, the Gear Fit 2 might be a better option. It’s great for those who enjoy running and basically offers the same standard fitness tracking features as its successor. It might not be suitable for swimming, but it is still resistant to water. The device is also very similar in terms of specs to the Pro model and is $50 cheaper. The Gear S3 Frontier is suitable for those looking for a smartwatch packed with features. It has all the fitness tracking abilities of the Gear Fit 2 but also adds things like LTE support, Samsung Pay, and a rotating bezel that makes it easier to use. 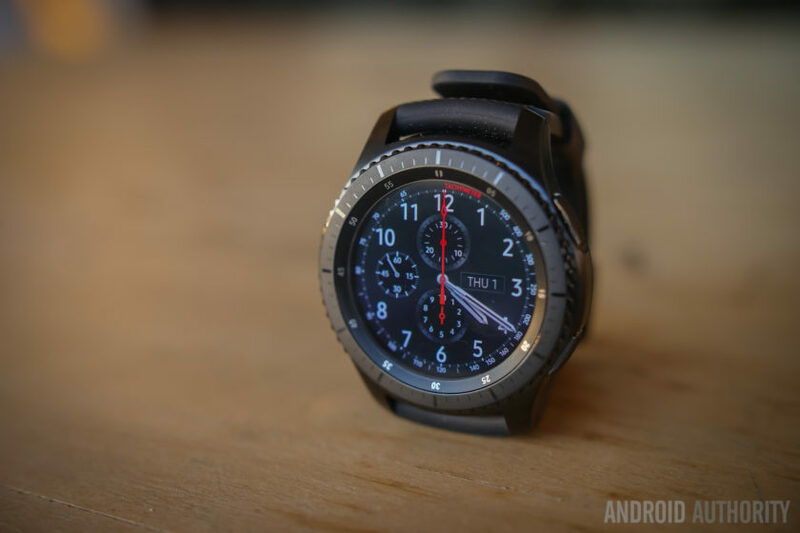 However, if the Gear S3 Frontier is too large and expensive for you, the Gear S2 is worth considering. It’s the sportiest smartwatch Samsung has ever made and retails for $120 less than its successor. But it is the only device on this list without GPS, yet it still costs more than the two Gear Fit 2 fitness trackers. Which Samsung fitness tracker would you consider getting? Let us know in the comments.